Fiji is truly one of the most remarkable destination for it's tropical beaches and temperate weather. 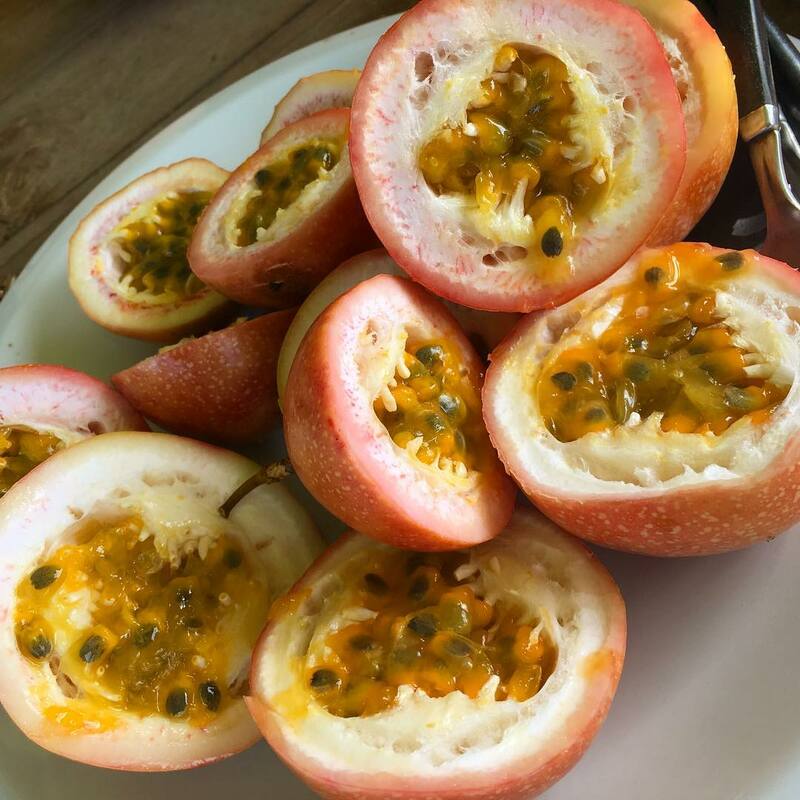 However, one of the truly hidden gems of Fiji is their delicious fruits. Because the tropical weather permits for lush and verdant growth, some of the most delicious fruits are able to its consumer. 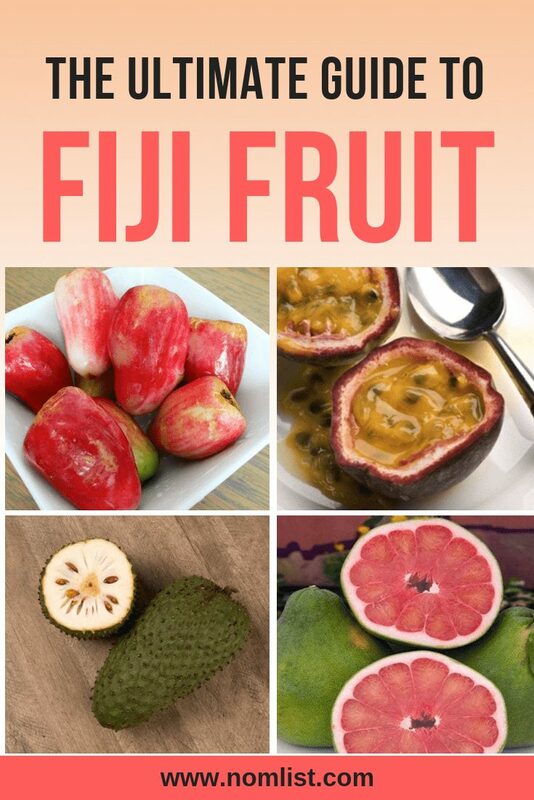 We've done the research and put together the Ultimate Guide to Fiji fruit for your next Fijian adventure. 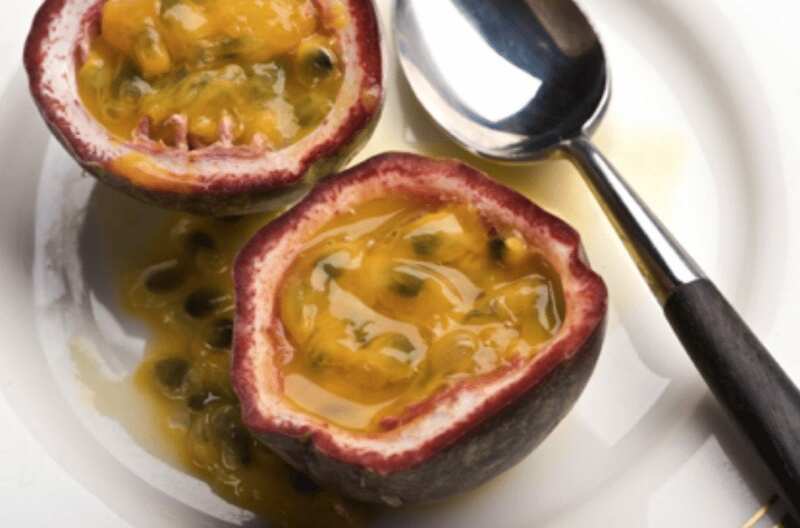 When you first take a glance at passion fruit, it can be a little confusing. The wet, viscous pulp in the middle almost looks like bits you are supposed to discard. However, that's truly the delicious and full-flavored aspect of the fruit itself. Because the temperate climate permits for fruits and vegetables to grow, the passion fruit in Fiji grows and sprouts almost instantaneously. Their flavor is unforgettably delicious. Many Fijians love to make a Passion Fruit Drink Cocktail, which can be a refreshing beverage after a long day of work. Truly a gem and a native fruit to Fiji, this stunning fruit almost resembles a fattened hot pepper. However, when you do taste the flavor, they are extremely sweet. Most of the time you can find them at the market ranging from light green to dark pink as shown in the image. The lighter green are a little more tart, whereas the pinkish ones have a bold sweet flavor. 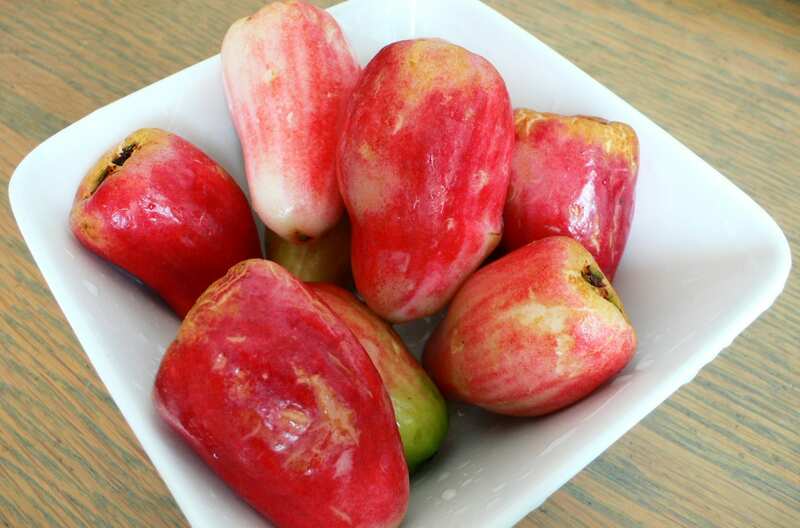 Rose apples are an extremely successful species in Fijian climate, but grow the best in November. Mangoes are a well-known fruit universally. However, once you are able to taste the delicious flavors of Fiji mangoes, your opinions may forever be changed. These delicious scrumptious fruits grow everywhere on Fiji. They also come in different colors and sizes. Green mangoes are extremely common for Fijian cuisine and have a bit of a crunchier texture. 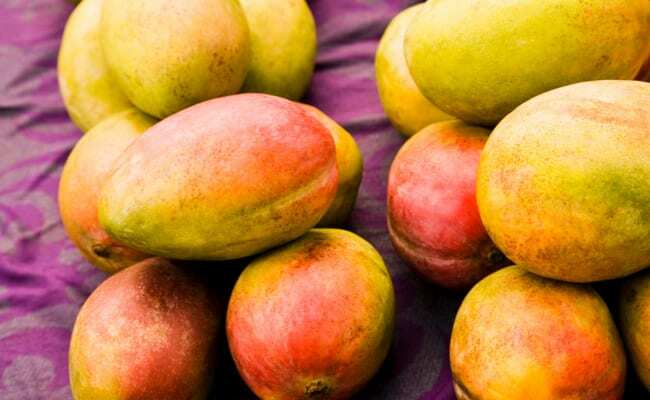 However, mango season in Fiji is generally in their summer months, October and November. Known as one of the largest citrus fruits in the world, these delicious pomelos are certainly eye-catching and make an excellent meal. 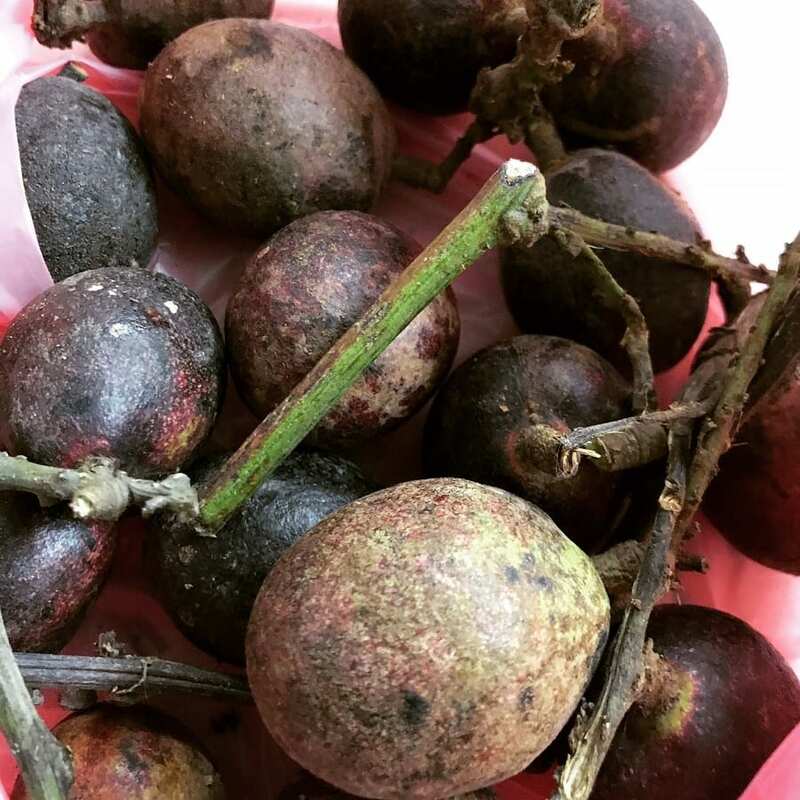 If you're a heath conscious individual, Fijian fruits will certainly appease your need for nutrients as well and keep your mind and belly happy. The flavor itself is similar to a grapefruit and orange mixed together, but with a crisp refreshing citrus burst. These make excellent breakfasts and can be served raw or with a dessert. The rinds also make an excellent bowl for plating. Whenever you think of a tropical island, one of the most thought-of fruits is the pineapple. But what makes the Fijian pineapple so special. In the US, we get pineapples imported and they're usually ENORMOUS. 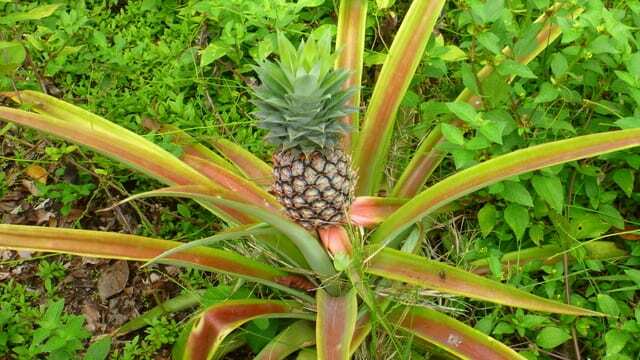 However, the Fijian pineapples tend to grow really small, allowing the flavor to be extra juicy and concentrated. Sometimes, these pineapples sprout tiny red hairs that give it a very distinct outward appearance. You can get these pineapples almost everywhere in Fiji at the market places or the grocery store. 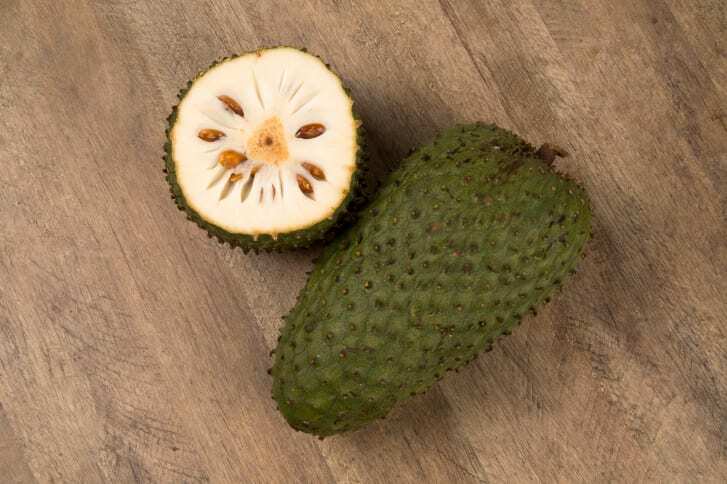 Sour sop, Prickly Custard Apple. These strange alien-like fruits seem a bit jarring at first but pack a delicious flavor punch that will keep you coming back for more. The Fijian sour sop grows verdantly from the months of June through September. The spiny texture on the outside is similar to a pineapple while the flesh itself is a bit like an avocado. These fruits make excellent desserts, cocktails, and even soft drinks. Fijians also make it into sorbets, jams, jellies, and other fruit preserves. The fruit itself is rich with vitamins and anti-oxidants that truly make this Fijian fruit a must-try on your next trip. One of the most sacred and absolutely essential fruits in Fiji is the coconut. 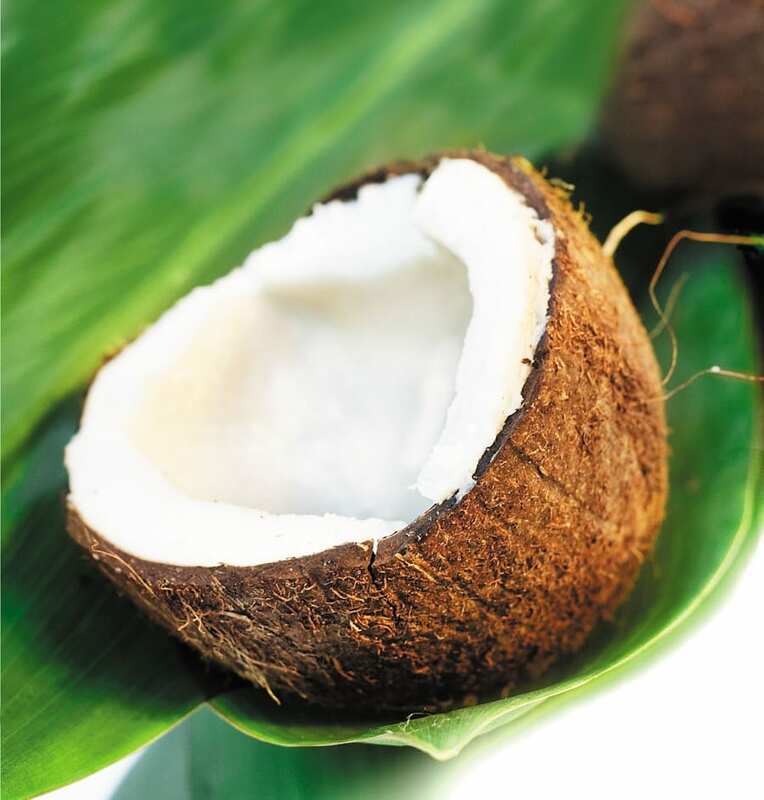 The coconut is the fuel to Fijians not only in food, but in many other aspects of daily life. Coconut oil is excellent for using as a fat for cooking. It also works well as a moisturizer for your skin, hair, and nails. The milk of the coconut is one of the most common ingredients used in Fijian cooking ranging from lolo buns to palusami and the national dish kokoda, all which you can find in a traditional Fijan lovo feast. You can check out some of the most delicious must-try foods in Fiji here, which almost all use coconut or coconut milk as a base. Another extremely versatile and useful fruit in Fijian cooking is the plantain, also known as vudi. Similar to a banana, this fruit is a little more sturdy with a less sweet flavor. It's almost like a hybrid between a banana and a potato. Because plantains are a little more starchy, they make excellent side dishes when fried. Fried plantains and cassava are a delicious staple of Fijian cuisine. Fried plantains taste great as an appetizer and also accompanied with just ketchup (yup, sounds weird, but you have to try it!). Not only do plantains make an excellent savory dish, they also are used frequently in desserts. A common and easy dish to make is plantains in coconut milk. You can find the recipe here. A delicious dessert you must try is caramelized plantains with ice cream. It's absolutely delectable and you'll definitely want seconds. This deliciously sweet and bright fruit is known all across the globe. However, Fijians take pride in their pawpaw because it is one of their most prized exports. 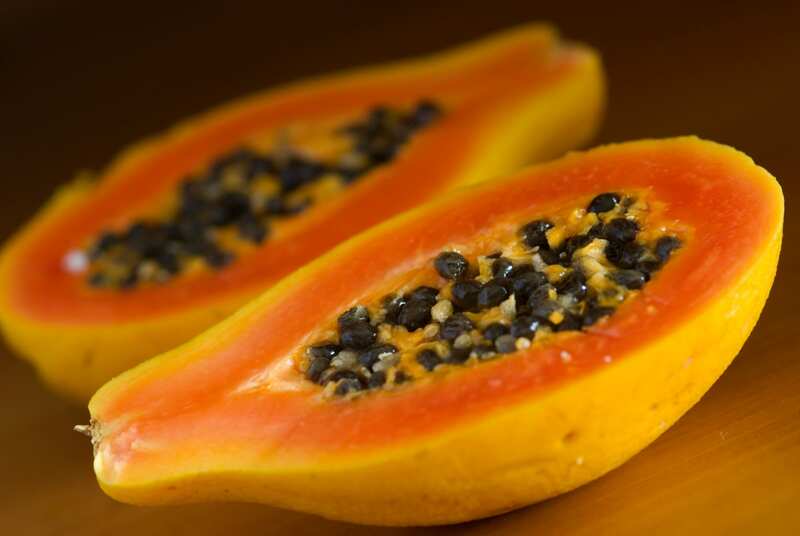 Originally, the papaya came in from a long journey from Central America. The flavor itself is similar to a banana and a mango with a vanilla-like flavor. Because of its unique characteristics, this is a definite must-try when you're visiting Fiji. 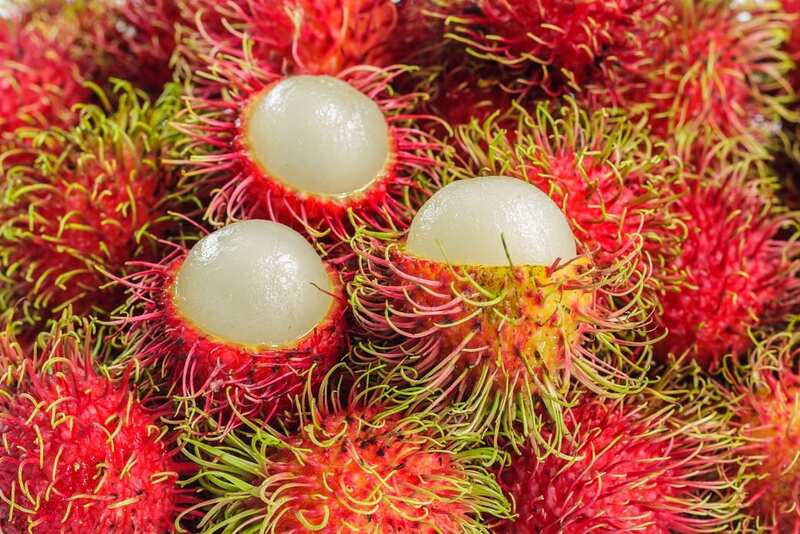 If you're looking for a truly exotic fruit to try, you're in for a treat. The Fijian Longan, also known as Island Lychee, is a fruit with a flavor that you'll never forget once you try it. 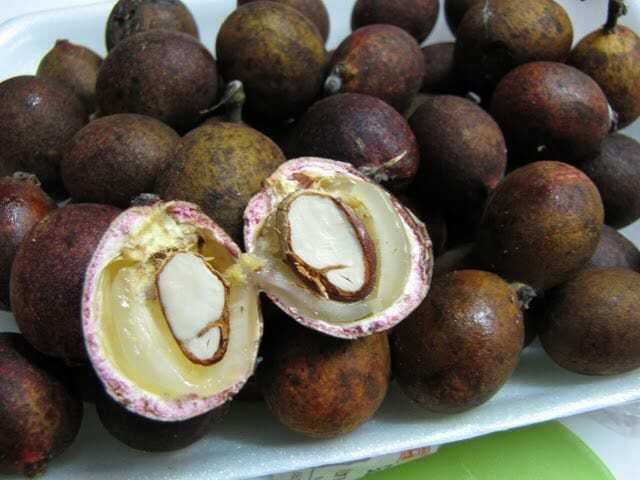 Popular in Southeast Asia, the flavors of this fruit is similar to a lychee and a durian mixed together. The Matoa tree grows verdantly throughout the island and is known as a forest tree. One of the most interesting parts of the longan is that the outer shell is a purplish color. However, when you crack into it, you reveal the jelly-like fruit on the inside. The longan is definitely a fruit that's special to Fiji. 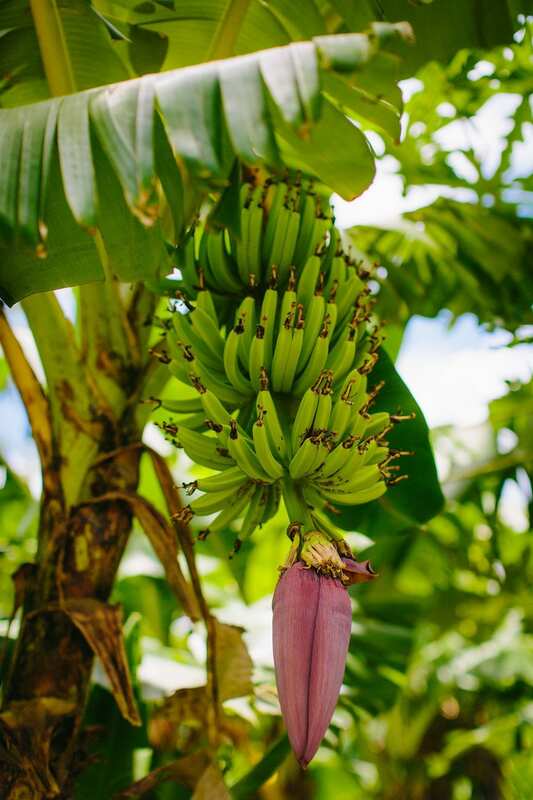 Even though there are longans in Southeast Asia, the purple outer shell and deliciously sweet flavors are very distinct to the Fijian fruit. I know you're probably wondering if this is actually a space-alien creature. Shockingly, this bizarre looking fruit yields some of the most exotically delicious fruit on the inside of it's red and yellow spiny texture. Coming from the same family as the Fijian Longan, this spiny fruit pairs really well with ice cream and has a smooth jelly-like texture. It has a flavor similar to a grape mixed with a lychee and is truly an unforgettable flavor experience. Not only are they delicious, they also are packed with nutrients and antioxidants that keep your immune system healthy and happy. 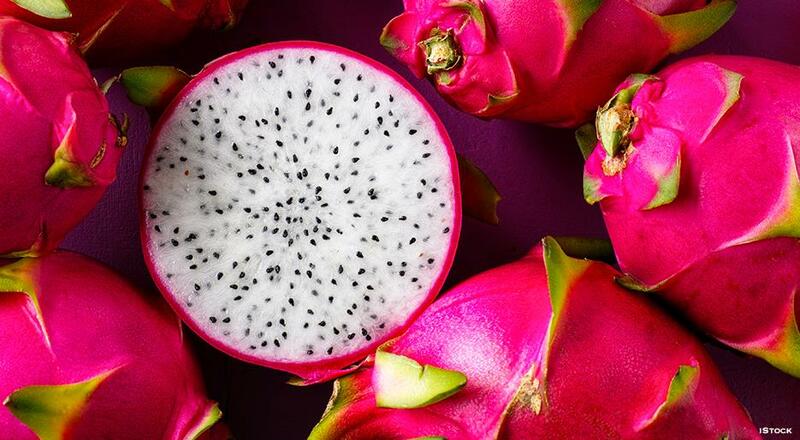 The dragon fruit truly lives up to its name with its spiny outer texture and remarkably white seedy fruit on the inside. Dragon fruits are extremely common in Fiji since they grow successfully in lush, humid, tropical temperatures. Packed full of nutrients and antioxidants, this fruit is excellent for keeping your health in shape. Also, the texture of the fruit itself makes it really tasty to eat raw, in fruit salads, or even in cocktails. Many of the times, dragon fruit will be served in a bowl as a dessert in Fiji. 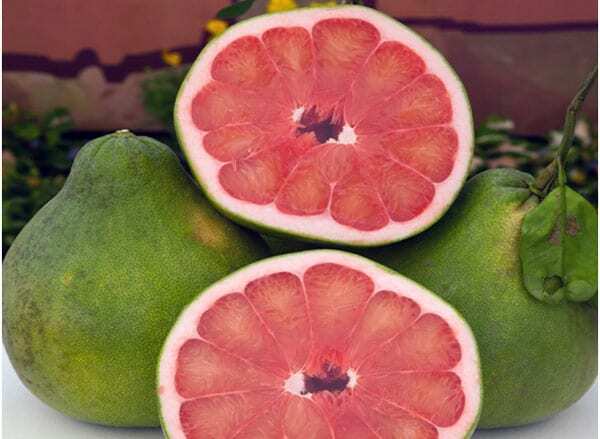 There's something quite appealing about the lime green rind of a guava revealing the succulent pink fruit on the inside. It's a tropical fruit you must see with your own eyes. Not only are they beautiful, they're also extremely delicious. The flavor itself is like a mix of watermelon and a papaya. They make excellent cocktails, soft drinks, desserts, and of course couple well with ice cream. 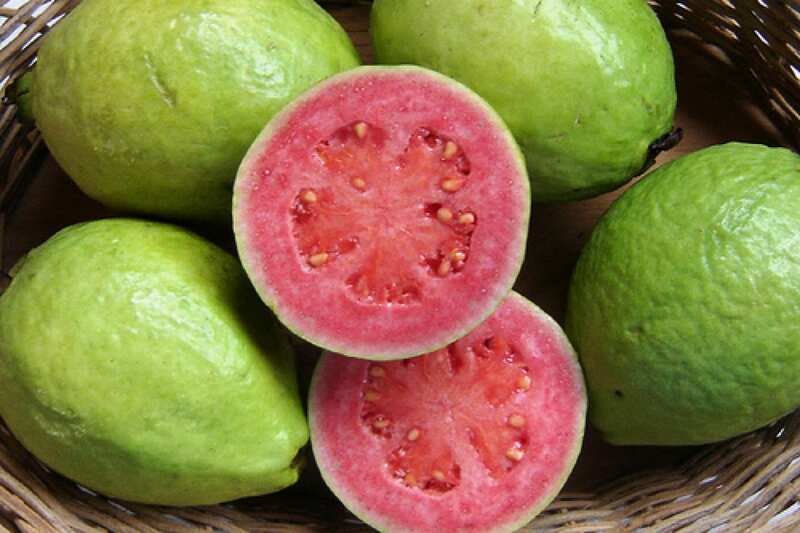 Guavas are also full of vitamin C and antioxidants, so you can fight colds and cancer while you enjoy a refreshing morning beverage or delightful dessert.